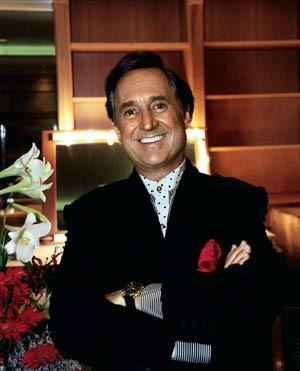 NEIL Sedaka wonders how successful he would have been had he attempted to crack into the music industry today. Sedaka recently appeared as a guest judge on American Idol and said he was blown away by how hard some of them work and the harsh criticism they face. ``I was a big fan of the show and I called to ask if I could be a judge,'' Sedaka said. ``The five finalists performed all Neil Sedaka songs that night but I really feel sorry for them because they have to get up on international television and be criticised very harshly. ``You really have to want it badly to stand up there and take the abuse because sometimes Simon Cowell can be very tough.'' From American Idol, Sedaka has gone on to continue touring and estimated he spent roughly six months of each year on the road performing for fans. For more than 50 years, Sedaka has remained an icon of the music world having penned classics like Laughter in the Rain, Breaking Up is Hard to Do and Love Will Keep Us Together. He started out learning piano as a child living in New York City but soon placed his focus on pop music when he discovered rock'n'roll as a teenager. ``In the late 50s, rock'n'roll was new and I think anyone who could sing and play in those days wanted to be a rock'n'roll star,'' Sedaka said. ``I sold 25 million records within a five year period there which is not bad.'' Sedaka began an Australian tour last week and will arrive in Newcastle on Saturday, April 30 to perform at Civic Theatre. Although he has toured Australian many times, Sedaka said he could still remember his first trip to the country when he was just 19 years old. ``I was the first American rock'n'roller to go to many foreign countries including Australia,'' Sedaka ``It was before the days of jet planes so I had to take a propeller plane to Australia and can you imagine how many stops in made. ``Oh my goodness! It took me about 36 hours from New York to Sydney. There were many, many stops and I was a frightened flyer because I was only a kid. It was scary.'' Tickets are on sale through the theatre on 4929 1977.